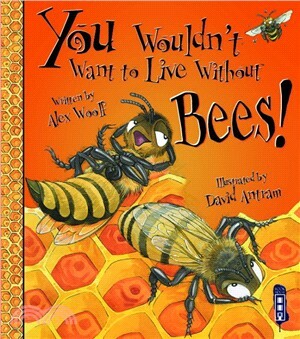 What would happen if there were no bees in this world? It would be a disaster! Without bees, we would, of course, have no honey. But wed also lose a lot of other foods and useful products like cotton produced by plants that bees pollinate. Around half the fruit and vegetables in our supermarkets would disappear! Not only that, we would also lose the animals that eat these plants, and the animals that eat those animals! Some people are scared of bees, but theres rarely any need to be. Bees will sting in self-defence, but usually they dont disturb humans. Yet we need them. As far as important species are concerned, bees are at the top of the list you really wouldnt want to live without them!